Sam Burgess is the only active player on this list, but he deserves his spot for his phenomenal efforts in the NRL, where he has become one of the competition’s greatest ever British imports. The performance of Burgess in the 2014 NRL Grand Final, where he won the Clive Churchill Medal for best on ground, was impressive in its own right. The Burgess legend only grew when it was announced that the Rabbitohs’ lock forward had played at such a high level despite breaking his cheekbone in the very first tackle of the game; undoubtedly, one of rugby league’s most courageous grand final performances. A successful return to the Rabbitohs, following a mixed stint in rugby union, has only cemented the Burgess legacy. Roger Millward was a tiny (five-foot-four) scrum-half who starred for Hull KR and Great Britain in the 1960s and ’70s. He made 406 appearances for the club, scoring 207 tries and over 600 goals during his time on Humberside. Millward was that rarest of players who often shone brighter on the international stage than even his excellent club form. In 1967, he scored a vital try for Great Britain in a 16-11 win over Australia and his form in the 1970 Ashes Series (where he scored 20 points in the second test) was one of the best performances by a British player of all time. Alex Murphy was St. Helens through and through, having been born there before playing 320 times for the Saints. He is regarded as one of the best, if not the very best, halfback in the history of the British game and he represented Great Britain in 27 tests over the course of his 19 year career. He first signed with St. Helens at the stroke of midnight on his 16th birthday as he was smuggled to a house to sign professional terms. A prodigy who lived up to the hype, Murphy was the first player to captain three different clubs to victory in the Challenge Cup final. Andy Gregory did the tour of the English northwest, playing for Widnes, Warrington, and Wigan early in his career. It was his stint at Wigan that say the diminutive halfback reach the pinnacle of the game as he would win the Lance Todd Trophy on two occasions. Standing at just five-foot-five, Gregory signed for Wigan for 130,000 pounds in 1987, winning the world player of the year as he led his hometown club to a run of 29 straight wins. Gregory was a feisty, scrappy player who played in an astonishing six Ashes series against Australia from 1982-1992. Kevin Sinfield played his entire 18 year career with Leeds from 1997-2015. He is most well-known for his work at loose forward, though he played pretty much every position on the field for the Rhinos at some point during his career. Sinfield captained Leeds to seven Super League championships and two Challenge Cup titles and scored 3,967 points for the club. Sinfield also won the Golden Boot as the best player in the world in 2012. If there was a faster player around than Martin “Chariots” Offiah at his peak, then that guy should have been an Olympic sprinter. Offiah was an absolute freak of a finisher, racking up an incredible 501 tries during his globetrotting rugby league career. He was at his very best with Wigan as the team dominated the game in the early to mid-1990s and Offiah had a strike rate of more than a try per game, crossing 186 times in 159 appearances. 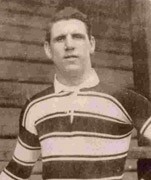 Billy Batten was an inductee in the first ever Rugby Football League Hall of Fame Class in 1988. Batten was a pioneer of the game back in its early days as he was an athletic superstar on the pitch and a player who was well aware of his ability to make money off of it. When he signed for Hull in 1913 he commanded a wage of 14 pounds per match, likely making him the highest paid professional footballer in the world. Playing centre, he went on to grab 89 tries in 226 appearances for the Black & Whites, along with appearing 44 times combined for Great Britain, England, and Yorkshire. Wigan born Shaun Edwards led his hometown club to unparalleled success from 1983-1997. In this time Edwards made 467 appearances for Wigan and scored 226 tries as a scrum-half, stand-off, and fullback. 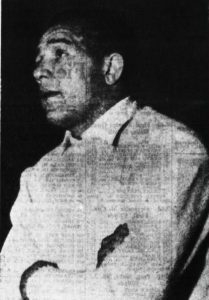 He won a remarkable eight league championships and nine Challenge Cups with the Warriors – both records that stand to this day. Edwards has taken rugby league defensive systems to rugby union coaching and has been a roaring success everywhere he has gone. Billy Boston was an inductee in the first ever Rugby Football League Hall of Fame Class in 1988. In his 17 year career Boston scored an incredible 571 tries as a winger and centre making him the second-highest try scorer in the history of the game. His greatest success was at Wigan where he used his incredible pace and turn of speed to score a club-record 478 tries in 488 appearances. Boston also had a deadly side step for a bigger man and he used his trademark hand off to power over for seven tries in a game on two separate occasions. Ellery Hanley was another player who dominated the game while playing in the Cherry and White of Wigan. Hanley was as versatile a player as you would ever hope to find, yet he managed to excel in almost every position on the pitch. His 19 year career saw him score 416 tries, including 20 for Great Britain. A three time Man of Steel winner, Hanley was named as the greatest British rugby league player of all time in 2007. Any all time top 10 British players without Malcolm Reilly on the list is laughable to say the least. Impossible to please everyone. There’s another 5 or 6 who come to mind, but you can definitely make a good case for all of the players named. So only 1 player from the period 1895 – 1950!? Fun but flawed. I don’t think so. A Wigan fan would have billy Boston as number 1. Impossible. How do you compare a prop with a huge number of tackles with a slick speedy winger who scores tries for fun? Or a winter goal kicker with a wet heavy ball and sodden boots with a modern summer kicker with someone to dry a vastly different ball for him? Or a player who gave 80 minutes of guts and glory with a modern player who has rest periods? We all have our favourites, based on the giants we’ve been privileged to see, but the best? Have fun deciding folks and don’t let my ranting stop you. I know it’s only an opinion but seriously, this is a joke. How does this bloke come up with Batten and then everyone else is quite recent. For Bev not to be in anyone’s top ten list is disgraceful. Let alone some of the other greats that spring to mind compared to the inclusions listed here. Karalious, Fox, Turner and Myler just to name a few and I won’t even go back too far. Mike Loftus – Do you mean Brian Bevan? If so, he was Australian and not included. Still, some absolute legends among the names you’ve listed. Who would you leave out from this list to squeeze in those four players? Rugby League Opinions , my fault I missed the British reference. But I’d leave out Burgess, Gregory, Offiah and Edwards. You’d leave out offiah & Edwards??? You’d leave out Karalious, Fox, Turner and Myler? I would add Reilly to the list , plus Jim SULLIVAN. As much as I do love Ellery especially playing and captain of Wigan. The greatest British rugby league player ever is Murphy even if he did play for them across the divide. And Neil Fox all 6220 points scored doesn’t even feature?!? How is Burgess ahead of Morley?